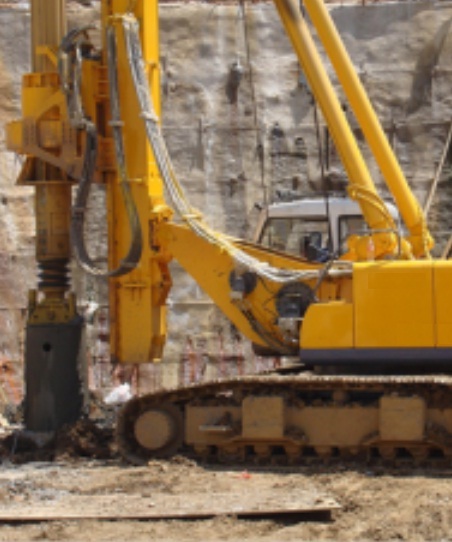 Jetting and drilling are the processes to penetrate a dense stratum which is to penetrate to continue the pile to a underlying soft depositions to make safe pile foundation. The dense layer may consist of gravel or sand and piling have to be continued as there have one or more weak strata beneath this dense stratum. Jetting is used to facilitate penetration through a dense layer. Normally jetting loosens the dense soil deposit with the help of water. 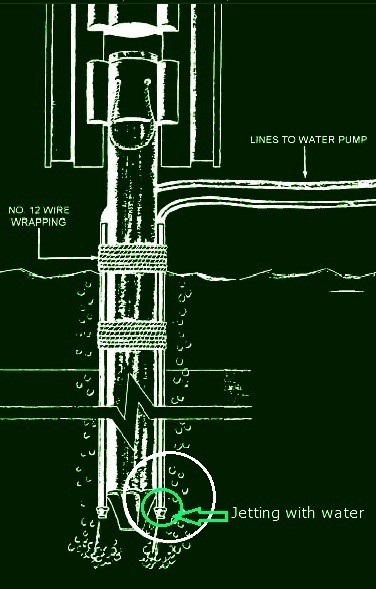 To achieve this, water is discharged with pressure near the particular point or along sides of pile. In this purposes a (2-3) in diameter pipe is used. Now we have to know the discharge rating and pressure of delivery water. The pump that is used to jetting purposes must have a capability of developing 500 gallon per minutes with a pressure of (150-200) lb/sq.in. Our aim is to create quick conditions. When the loosen sand undergoes quick conditions, the penetration of pile through these dense sand or gravel becomes easy and piling can be continued to underlying weak soil deposit. But when the layer found is very stiff and strong then foundation engineers have to think about other method of penetration. Yes we are talking about rotary drilling. Rotary drilling is capable to penetrate the before said dense layer and even more stiff or harder cohesive soil up to a considerable depth. The rotary drilling was first 3000 B.C. in Egypt. The Leonardo Da Vinci in 1500 developed an image that resembles to recent rotary drilling techniques. In rotary drilling a sharp drill bit with rotating facility is used to dig hard soil deposit. This is a bit like a hand drill. 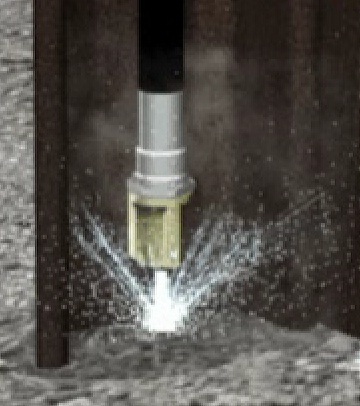 We have published post regarding drill bit. The spinning action of dtill bit has capability to penetrate even hardest rock. This technique not only used in piling operation but also it is frequently used in petroleum industries where thousand meters of drilling is generally required. Glad to be able to read such information. Its nice to see that information is shared. Check out also construction blog!